3D printing or additive manufacturing (AM) is any of various processes used to make a three-dimensional object. In 3D printing, additive processes are used, in which successive layers of material are laid down under computer control. These objects can be of almost any shape or geometry, and are produced from a 3D model or other electronic data source. 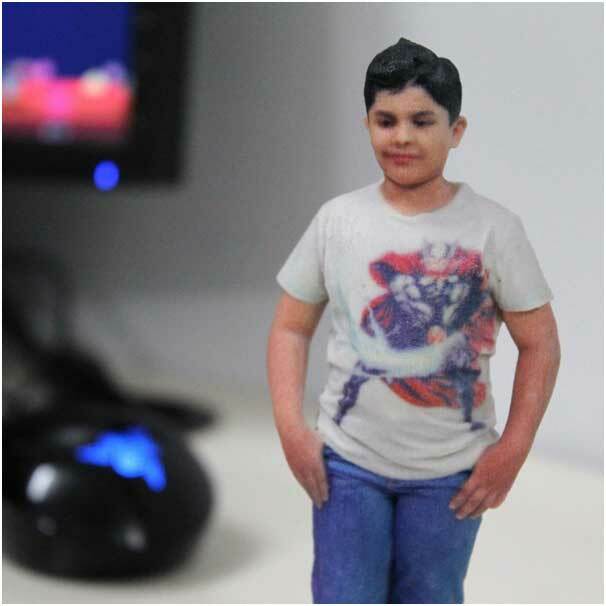 Next2future is using this AM technology to create a tiny sculpt of human being or even a pet. Firstly a detail 360 ° scan is being done of a person. Then our design engineers will create a perfect 3D model during post-processing. Finally , the 3D model is sent for 3D print. This takes some days’ time, but you’ll be stunned to see the final output. You will have your own miniature – a small twin in your hands. This technology can be used for various other applications too.